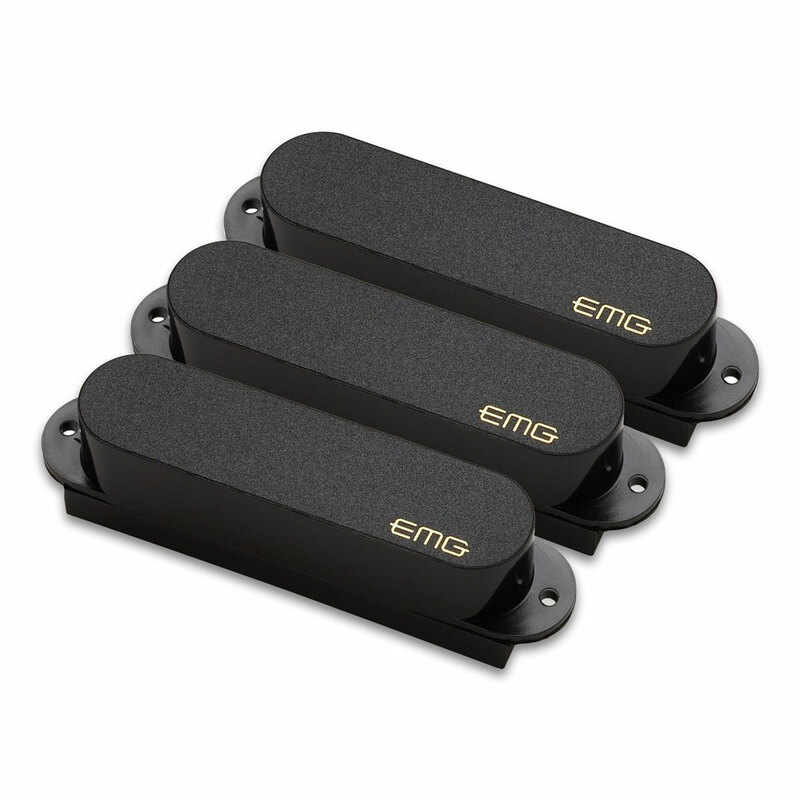 The EMG SA Pickup Set combines the attributes of the early Stratocaster sounds with added midrange response and higher output, giving the pickup "bell-like" harmonics and increased sustain. This active single coil set, loaded with Alnico V bar magnets sounds bright and airy, with a rich bottom end. With internal shielding and a low impedance preamp, you get virtually noiseless pickups without sacrificing a true single coil tone. The Alnico V bar magnets allow for the output to remain balanced during big string bends that makes for a beautifully articulate tone. The creamy mid-range warmth creates sublime blues tones that are clear, strong and expressive. The EMG SA pickup set features their solderless system for quick and easy installation, it comes with everything you need including a 25k volume pot, two 25k tone pots, 3 way selector switch, stereo output jack, battery connector and all required connector wires.